We all like flowers. They are delicate, have amazing colours and when they flourish it is a beautiful sight. Personally, I’d rather receive a plant than a bouquet of flowers. I want to see something grow and not cut off. (Sorry, bouquet-fans!) So, what if you get a flower and you want to turn in it into a regrowing plant again? 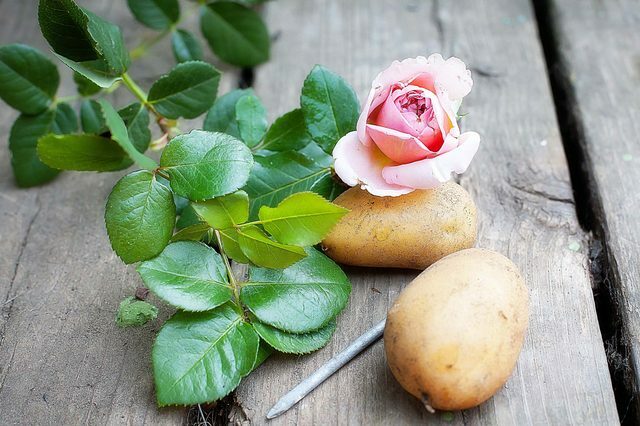 On the internet you see a lot of stories about putting a rose in a potato, turning it into a bush. But how does it work precisely? We have a few tips from the experts on Gardening Know How to help us out a bit. Please read the complete article and details on the website below to get all the tips and tricks!